Japanese cooling specialist Scythe hereby officially announces the launch the new high-end CPU Cooler Mine 2. 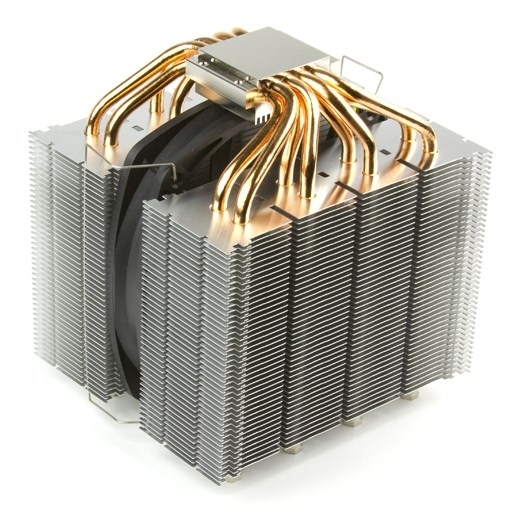 The Mine 2 CPU Cooler is based on a twin cooler Layout. Eight copper heatpipes transport heat to two generously dimensioned cooling blocks. By placing the fan in between the 2 heatsink towers, intake as well as exhale airflows are optimized to provide high performance. Furthermore, the lower part of the installed fan is designed to cool the devices around the CPU socket, such as voltage regulators and RAM. 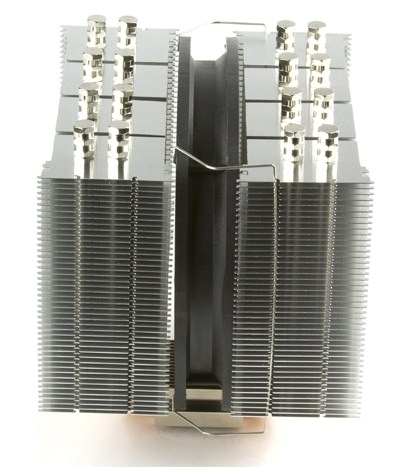 The structure of the heat sink makes it possible to use a total of up to three fans by purchasing separately sold fan clips. In this manner, the air flow and thus the cooling capacity of the Mine 2 will be significantly increased by using the push / pull principle. • Weight Included Fan: 1,150 g / 40.57 oz. • Model Name: Slip Stream 140 PWM & V.R.